Reedy, Trent. Words in the Dust. New York: Arthur A. Levine, 2011. Print. Summary: Zulaikha might be a young, illiterate Afghani girl, but she already knows how her entire future will be. She will forever live at home, working like a slave for her father’s second wife — a woman who hates her and always yells at her. Meanwhile, her beautiful sister Zeynab will be married, have a kind and wealthy husband, and lots of beautiful sons. Zulaikha does not expect much from her future mostly because she has a “donkeyface.” Her upper lip is cleft and all her teeth poke straight out. She eats funny. She drinks funny. And when the boys in the village are not teasing her, she tries her best to be invisible so that no one looks at her with pity or disgust. Everything changes the day Zulaikha has to rescue her naughty younger brother from a stunt he was dared to do. Suddenly, a group of American soldiers want take her to Kandahar for a free surgery to fix her mouth and an old friend of her mother’s wants to teach her to read and write. She discovers that her mother was a brilliant scholar brutally murdered by the Taliban. Immediately, Zulaikha’s world flips upside down and nothing turns out the way she imagined. Critique: Reedy is a true storyteller. He weaves foreign words alongside the context needed to riddle out their meanings (plus there’s a good glossary at the back of the book). And he gives readers a whole new world to experience, as well as a character that will forever live within their soul. Zulaikha endures terrible bullying and demonstrates considerable bravery in the first two chapters. Her heart is enormous and her story is too compelling to put down. Oh how badly you’ll want to reach through the pages and rescue her from the worst moments life delivers! The desire to constantly rescue her is actually tied to what will feel like the book’s only weakness. Zulaikha is restrained, quiet, deferential, and excruciatingly submissive. In scene after scene, she silently endures the aggressions and transgressions of others. She feels passionately, but rarely acts, speaks out, or rebels. Much of the plot seems to move along without any direction from her. There is nothing she can do when her sister is rushed into a bad marriage. There is nothing she can say when the soldiers arrange for a helicopter to pick her up and fly her away for surgery. There is nothing she can do when the helicopter fails to arrive and her father cannot miss anymore work. From a Western/American perspective, plot lines tend to result from the actions and decisions of the protagonist. In Zulaikha’s world, however, girls and women cannot decide anything for themselves. True to the cultural constructs of gender, Reedy does not make Zulaikha a zesty, sassy, American girl. Even though adhering to cultural authenticity can make this a tough story for American audiences to stick with, it is not a weakness. 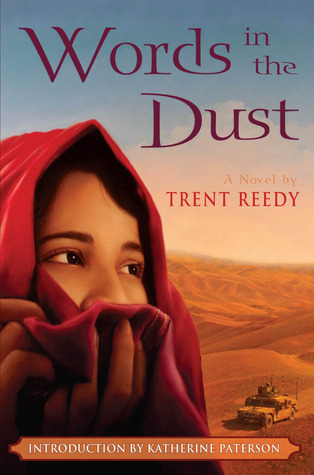 Rather than transform her into something more palatable for a Western audience, Reedy allows Zulaikha’s courage and immense heart prevail in their own quiet ways.